Every colour and pattern of the stylish, durable, stain-resistant and easy-to-clean Dupont Corian solid surfacecan now be fitted with a device to charge your smartphones and tablets wirelessly. A signature DuPont innovation, Corian continues to evolve and to inspire kitchen designers. DuPont Corian solid surface is perfect for a range of kitchen styles, from hi-tech to traditional. Offering extraordinary design flexibility in a wide range of vibrant colours, Corian is ideal for worktops, splashbacks and integral sinks, and many other applications. 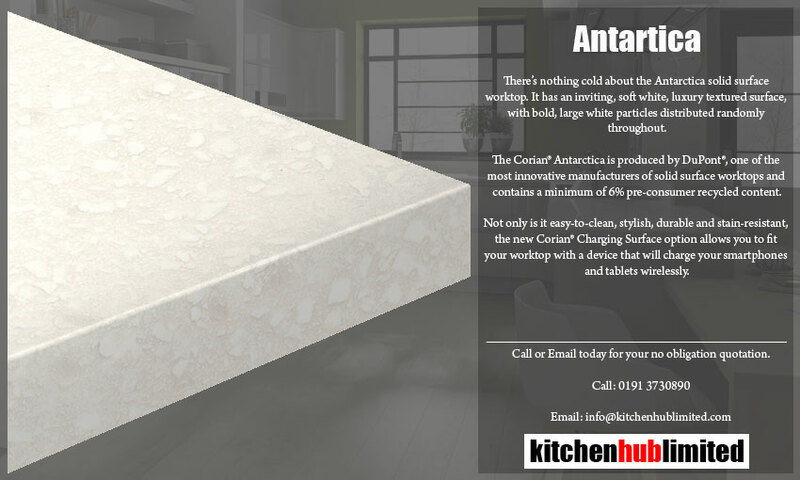 It offers inconspicuous seams and a sleek, durable, hygienic, nonporous surface that is warm to the touch. To deliver Corian at its best to kitchen retailers, DuPont have created the Corian Quality Network. This programme ensures the best quality of fabrication, sales and technical service backed by a Dupont 10 year warranty. 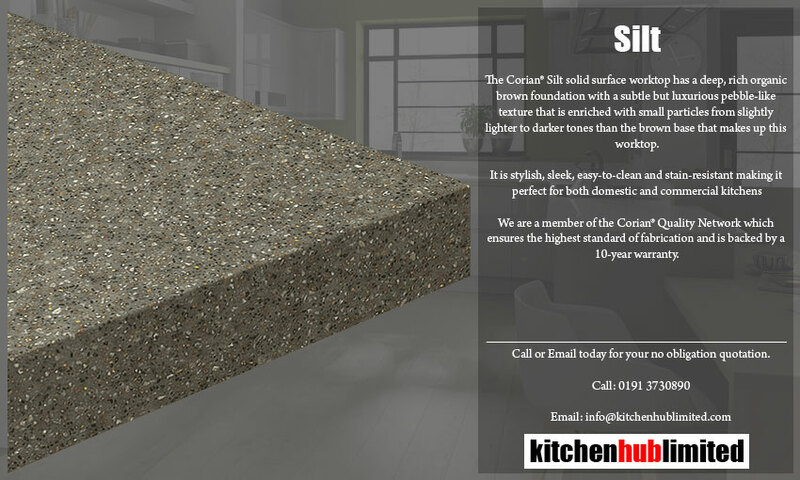 Kitchenhub Liimited work closely with PWS Worksurfaces who are a member of the Corian Quality Network. All colours to be uploaded once images are available.